If you are serious about learning Japanese, it's natural that you will want to get a Japanese Electronic Dictionary (or denshi jisho) sooner or later. Why You Need to Get One? As the cost of a decent electronic dictionary can cost several hundred US dollars, it's a waste if you don't make full use of it after getting one. Therefore, unless you are serious about mastering this language, don't buy one. It may look expensive when you consider it's only an electronic gadget. However, if you treat it as a one-time investment, buy one and use it for a lifetime (provided it doesn't become faulty), I think it's definitely worth paying the price. You will be amazed at how much extra information (not taught in classroom) you can get from this little "magical box". I always like to check for 話す言葉 (hanasu kotoba - which means words used mainly in conversation) that I heard in dramas and animes. You will unlikely learn these types of words from any Japanese textbooks. Every Japanese teacher (native Japanese) that I have met owns an electronic dictionary. At times they will need to check theirs for terms that they are unsure about. So even a native Japanese teacher carries an electronic dictionary, don't you think we as students who are seriously studying Japanese have more reasons to own one? Nowadays, memory chip is so advanced that you can store many "traditional books" electronically in a single chip. As such, a typical electronic dictionary can easily store up to several different, large-sized dictionaries. For example, according to the manufacturer's data specifications, my electronic dictionary contains 18 dictionaries. Imagine if you were to buy these dictionaries separately in their original book format, how are you going to carry them around? However a typical electronic dictionary is small-sized and weighs only few hundred grams. As compared to using a traditional book-typed dictionary, searching words with an electronic dictionary is fast and easy. You can check the meaning of a word within seconds. Moreover, if you need to look for the meaning of another word within the definition, you just need to highlight it and "jump search" for the explanation. There are many extra features in some electronic dictionaries. For example, you can learn how to write the strokes of difficult kanji, listen to the digital pronunciations of the words you are checking, and many others. Some models can even expand their collection of dictionaries by adding different memory modules (SD cards). Although nowadays you can easily download cheap or even free dictionary applications (also known as "apps") into your smartphone, the functions/features and Japanese words that are available in those "apps" can never beat those of the dedicated Japanese electronic dictionary, in my opinion. Those cheap or free Japanese dictionary "apps" mostly contain basic words and vocabulary. 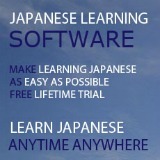 It may be enough for a beginner who has just started to learn Japanese. But it can never be enough for a serious learner like you and me. What is the point of having a dictionary if it cannot find the meaning of a word you are looking for? Moreover, you probably need to download many "apps" and run them separately in your smartphone, which is very tedious. While on the other hand, you can have everything you want "all under one roof" in a single electronic dictionary. Once you get an electronic dictionary, you can simply use it for life (provided that it doesn't become faulty) since dictionaries won't get "outdated". With today's technology advancement, you probably will be changing your smartphone very frequently. As such you will have to buy those "apps" again every time you change your smartphone. Though those apps are not expensive, they do add up the cost. How to Choose a Suitable Electronic Dictionary? I assume that you appreciate the advantages of owning a Japanese electronic dictionary (or electronic translator) and are thinking of getting one. The next logical question is: How to select a suitable one? You might want to consider the following 4 main factors to help select your ideal Japanese electronic dictionary. 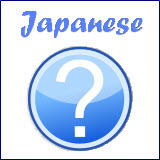 The most common one is the English-to-Japanese/Japanese-to-English bilingual electronic dictionary. However, depending on your native language, you may want to get a trilingual dictionary, which contains dictionaries for your native language, plus English and Japanese. For example, if your native language is French, you can get a Japanese-French-English trilingual electronic dictionary. You can choose your model based on what types of dictionaries are included in it. 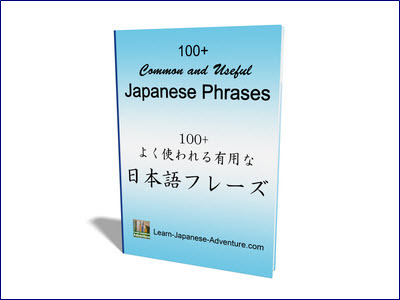 For example, some models may include a katakana dictionary, a dictionary for proverbs (kotowaza), or even a dictionary for business Japanese. Some may include 大辞林 (daijirin - a comprehensive single-volume Japanese dictionary) and 漢字源 (kanjigen - a kanji dictionary). But take note that some of these dictionaries are only in Japanese version, which means the explanation is in Japanese. Depending on the functions/features available, the cost of a Japanese electronic dictionary ranges from around 50 US dollars to over 600 hundred US dollars. Naturally, the more dictionaries it stores and the more functions/features it has, the higher the price. Based on your personal preferences, after considering the above 4 factors, you can then choose your ideal Japanese electronic dictionary. You are going to use this electronic translator for a very long time, so choose wisely. My suggestion is to select one which includes a few of the good dictionaries. You won't want to regret later thinking you should have bought a better one when you are attending the advanced Japanese classes. Although there are also some cheap Japanese electronic dictionaries (less than 200 US dollars) which may serve the basic purpose, it's still advisable to save up more money to get a good electronic dictionary that contains more dictionaries and features which will give you long-term benefits. Disclosure: Please note that some links on this page are affiliate links. That means I will receive a small commission if you decide to make a purchase through those links, at no additional cost to you.